Legendary electronic pioneers The Klinik have announced the release of 'Eat Your Heart Out', the band's first new output under their original lineup (expanded to include Peter Mastbooms) in 22 years. The album will be released on March 1st 2013 through Out Of Line Music in both standard CD format and a limited edition white vinyl version. Formed by Marc Verhaeghens and Dirk Ivens over 29 years ago, The Klinik” shook up electronic music with their mix of cold, harsh, sequencer-dominated sounds, watered down arrangements, minimalist lyrics and hissing vocal style which spawned hits like 'Memories', 'Moving Hands' and 'Black Leather. 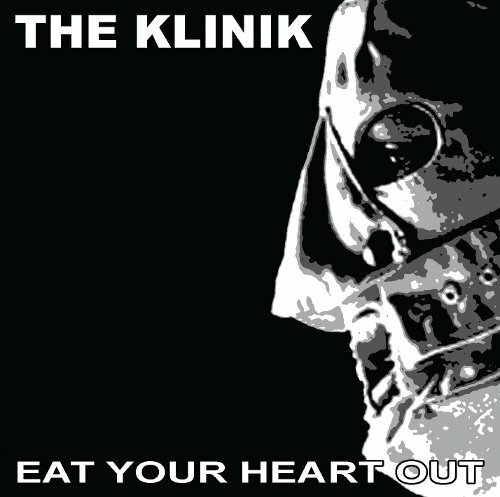 With the release of 'Eat Your Heart Out' on Out Of Line Music, the band have finally come full circle with the label having lifted it's own moniker from the song 'Out Of Line' featured on The Klinik's 'Face To Face' album. For the latest information on The Klinik, please visit their official website.